Incredibly durable design - actual service life frequently measured in decades! Ideal for prevailing-torque and destructive testing applications. Memory feature consists of fingers which follow a track in the scale and remain in place to indicate maximum torque achieved. Peak torque indicated on scale is accurate, even on destructive testing applications. Pivoted handle concentrates load at precise point on lever to assure torque accuracy. Meets or exceeds ASME B107.300 and ISO 6789. Accuracy of all flat beams is +/- 2% of indicated value from 20% to 100% of accuracy, in both directions. Includes free ISO/IEC 17025 tabulated certification! Torque Capacity: 0-150 in. lbs. Steps Of Graduations: 5 ft. lbs. Overall Weight (lbs. ): 3.75 lbs. Sturtevant Richmont Flat Beam M Series torque wrench. Model: M 10 I Torque Capacity: 0-10 in. lbs. Steps Of Graduations: 1/2 in. lbs. Square Drive: 1/4'' Lever Arm Distance: 6.0'' Weight: 0.25 lbs. Sturtevant Richmont Flat Beam M Series torque wrench. Model: M 100 I Torque Capacity: 0-100 in. lbs. Steps Of Graduations: 5 ft. lbs Square Drive: 1/2'' Lever Arm Distance: 15.0'' Weight: 2.75 lbs. Sturtevant Richmont flat beam m series torque wrench, sae, Sturtevant Richmont Flat Beam M Series torque wrench. Model: M 100 I Torque Capacity: 0-100 in. lbs. Steps Of Graduations: 5 in. lbs. Square Drive: 3/8'' Lever Arm Distance: 6.5'' Weight: 0.4 lbs. Sturtevant Richmont Flat Beam M Series torque wrench. Model: M 1200 I Torque Capacity: 0-1200 in. lbs. Steps Of Graduations: 50 in. lbs Square Drive: 1/2'' Lever Arm Distance: 15.0'' Weight: 2.75 lbs. Sturtevant Richmont Flat Beam M Series torque wrench. Model: M 160 IO Torque Capacity: 0-160 in. ozs. Steps Of Graduations: 10 in. ozs. Square Drive: 1/4'' Lever Arm Distance: 6.0'' Weight: 0.25 lbs. Sturtevant Richmont Flat Beam M Series torque wrench. Model: M 1800 I Torque Capacity: 0-1800 in. lbs. Steps Of Graduations: 50 in. lbs Square Drive: 1/2'' Lever Arm Distance: 18.0'' Weight: 3.75 lbs. Sturtevant Richmont Flat Beam M Series torque wrench. Model: M 200 I Torque Capacity: 0-200 in. lbs. Steps Of Graduations: 10 in. lbs. Square Drive: 3/8'' Lever Arm Distance: 9.0'' Weight: 0.5 lbs. Sturtevant Richmont flat beam m series torque wrench, sae, Sturtevant Richmont Flat Beam M Series torque wrench. Model: M 25 I Torque Capacity: 0-25 in. lbs. Steps Of Graduations: 1 ft. lbs Square Drive: 3/8'' Lever Arm Distance: 13.5'' Weight: 2.75 lbs. Sturtevant Richmont flat beam m series torque wrench, sae, Sturtevant Richmont Flat Beam M Series torque wrench. Model: M 25 I Torque Capacity: 0-25 in. lbs. Steps Of Graduations: 1 in. lbs. Square Drive: 3/8'' Lever Arm Distance: 6.3'' Weight: 0.4 lbs. Sturtevant Richmont Flat Beam M Series torque wrench. Model: M 300 I Torque Capacity: 0-300 in. lbs. Steps Of Graduations: 10 ft. lbs Square Drive: 3/4'' Lever Arm Distance: 30.0'' Weight: 10.75 lbs. Sturtevant Richmont flat beam m series torque wrench, sae, Sturtevant Richmont Flat Beam M Series torque wrench. Model: M 32 IO Torque Capacity: 0-32 in. ozs. Steps Of Graduations: 2 in. ozs. Square Drive: 1/4'' Lever Arm Distance: 6.0'' Weight: 0.2 lbs. Sturtevant Richmont flat beam m series torque wrench, sae, Sturtevant Richmont Flat Beam M Series torque wrench. Model: M 50 I Torque Capacity: 0-50 in. lbs. Steps Of Graduations: 2 ft. lbs Square Drive: 3/8'' Lever Arm Distance: 13.5'' Weight: 2.75 lbs. Sturtevant Richmont flat beam m series torque wrench, sae, Sturtevant Richmont Flat Beam M Series torque wrench. Model: M 50 I Torque Capacity: 0-50 ft. lbs. Steps Of Graduations: 2 ft. lbs Square Drive: 1/2'' Lever Arm Distance: 13.5'' Weight: 2.75 lbs. Sturtevant Richmont flat beam m series torque wrench, sae, Sturtevant Richmont Flat Beam M Series torque wrench. Model: M 50 I Torque Capacity: 0-50 in. lbs. Steps Of Graduations: 2 in. lbs. Square Drive: 3/8'' Lever Arm Distance: 6.0'' Weight: 0.4 lbs. Sturtevant Richmont Flat Beam M Series torque wrench. Model: M 600 I Torque Capacity: 0-600 in. lbs. Steps Of Graduations: 25 in. lbs Square Drive: 3/8'' Lever Arm Distance: 13.5'' Weight: 2.75 lbs. Sturtevant Richmont Flat Beam M Series torque wrench. Model: M 600 I Torque Capacity: 0-600 in. lbs. Steps Of Graduations: 25 in. lbs Square Drive: 1/2'' Lever Arm Distance: 13.5'' Weight: 2.75 lbs. Sturtevant Richmont flat beam m series torque wrench, sae, Sturtevant Richmont Flat Beam M Series torque wrench. 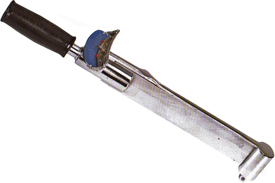 Model: M 80 IO Torque Capacity: 0-80 in. ozs. Steps Of Graduations: 5 in. ozs. Square Drive: 1/4'' Lever Arm Distance: 6.2'' Weight: 0.25 lbs. The 850198 Sturtevant Richmont Flat Beam M Series Torque Wrench, SAE is one of thousands of quality tooling products available from MRO Tools. Please browse Sturtevant Richmont Flat Beam M Series Torque Wrenches for tools similar to the 850198 Sturtevant Richmont Flat Beam M Series Torque Wrench, SAE. 850198 Sturtevant Richmont Flat Beam M Series Torque Wrench, SAE description summary: Sturtevant Richmont Flat Beam M Series torque wrench. Model: M 150 I Torque Capacity: 0-150 in. lbs. Steps Of Graduations: 5 ft. lbs Square Drive: 1/2'' Lever Arm Distance: 18.0'' Weight: 3.75 lbs. Quantity discounts may be available for the 850198 Sturtevant Richmont Flat Beam M Series Torque Wrench, SAE. Please contact MRO Tools for details.